Every child knows Benita, even those who used to be children. As an MC or as the face of a product, she brings a warmth and familiarity to a broad and comforted audience. Benita Collings started her career at The Independent Theatre approx. in 1955, studying under Doris Fitton’s supervision along with people like Reg Livermore and Owen Weingott. She also took ballet early on in life, and then jazz ballet with Ronnie Arnold. In 1960 she joined the Ensemble Theatre, Hayes Gordon was teacher, director and producer, the classes were inspirational and Benita learned all the different “roles” of the theatre: stage managing, props, sound, lighting, front of house, as well as playing in the productions. Some of the plays she was in included lead roles in Neil Simon’s “The Last Of The Red Hot Lovers”, directed by Jon Ewing. She also toured with “Absurd person Singular” and “Doctor in The House” and played for two years at The Music Hall in Neutral Bay. 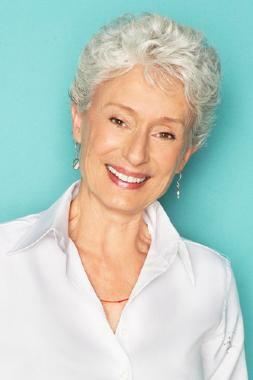 Benita Collings worked on commercials and small roles in TV dramas, graduating to roles in “Division 4” and “Homicide”. Many other roles followed some of them being “ Rafferty’s Rules” (a Hungarian white witch), “A Country Practice” (a child basher), “The Restless Years”, (an alcoholic), and “The Sullivans” (a French/Egyptian whore). The movies she has been involved with include “Hold the Circus”, Return to Eden” and “Sun Struck”. Benita’s most recent film credit was playing Nicholas Cage’s mother in feature film “The Knowing”. Benita Collings has been a presenter with Play School since 1959 and occasionally still tours Play School Concerts (live performances around Australia). She has also written and is has performed her own children’s concert. Benita also presented documentaries for: CES, Telecom, Griffith University (QLD), The NSW Department of Sport, Recreation and Racing, and St John Ambulance, as well as numerous voice-overs for television and radio. Benita Collings’ recordings include nine albums and CDs, mainly for Play School and recently, The West Australian Symphony Orchestra, Education Chamber Orchestra, narrating and singing. She worked as a narrator with The Sydney, Tasmanian and Queensland Symphony Orchestras, The Sydney Youth Orchestra and The West Australian Symphony Orchestra. More recently she was MC for the Southerland Shire Brass Band on “Meet the Brass”, and also MC for the Sutherland Shire’s Australia Day 2000; “Opera on the Beach”. Benita has also appeared in Carols in the Domain and more recently “The James O’loghling Show”, “Backberner” and “The Micallef program”. Benita appeared in “Rove live” and “Pizza 2” , she has just completed concerts for the Tasmanian Symphony orchestra, again as narrator and her own show “ Benita and The Bears”. TSO Goes to The Zoo Tasmanian Symphony Orch. Benita and The Bears Benita Collings Prods.